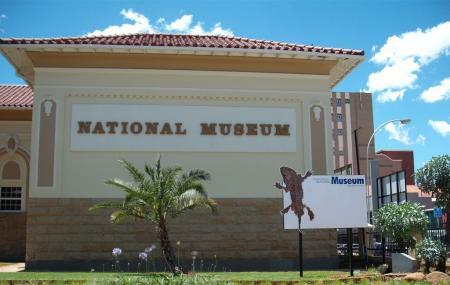 Dating back to 1877, the National Museum of Bloemfontein comprised of rare findings from around the world and has now extended to the fields of natural history, cultural history and art. It includes 13 research departments offering wholesome educational programes and activities, especially for students. Audio guide is available for free of cost in English, Afrikaans and Sesotho. Special aid and guides for visually-impaired individuals. Guided tours for groups are arranged on pre-booking. Museum shop and cafeteria are available. How popular is The National Museum? People normally club together Oliewenhuis Art Museum and Loch Logan Waterfront while planning their visit to The National Museum. Another informative historic museum, entry fees around R8 for adult. Spacious spent about and hour. A lot has been put in this museum and not sustained. In need of some funding. Aside from this it's worth a visit. I attended book launch of Mr Thibinyane. The Master Dreamer was excellent. Great place to go and many things to see. Pity there are no ventilation and parking is limited around the area.